Econophysics is an emerging interdisciplinary field that takes advantage of the concepts and methods of statistical physics to analyse economic phenomena. 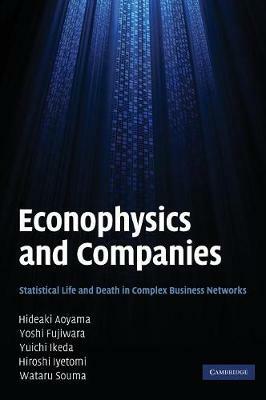 This book expands the explanatory scope of econophysics to the real economy by using methods from statistical physics to analyse the success and failure of companies. Using large data sets of companies and income-earners in Japan and Europe, a distinguished team of researchers show how these methods allow us to analyse companies, from huge corporations to small firms, as heterogeneous agents interacting at multiple layers of complex networks. They then show how successful this approach is in explaining a wide range of recent findings relating to the dynamics of companies. With mathematics kept to a minimum, the book is not only a lively introduction to the field of econophysics but also provides fresh insights into company behaviour.